A colder-than-normal winter is likely in store for Manitoba and much of the Canadian Prairies, and that will mean higher heating bills for most. 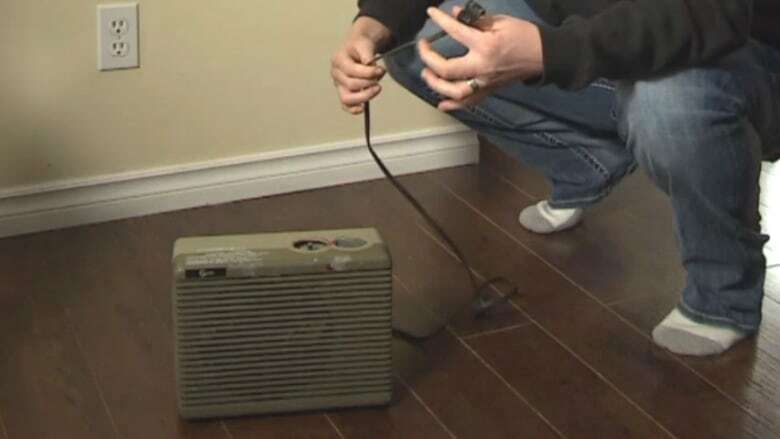 But a Manitoba Hydro engineer says some small fixes can help. 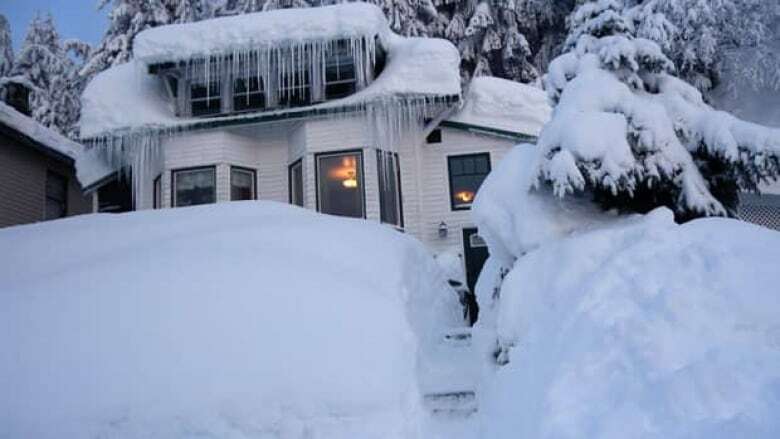 A colder-than-normal winter is likely in store for Manitoba and much of the Canadian Prairies, and that will mean higher heating bills for most. Climate scientists think a La Nina year is likely — meaning overall, Manitoba is likely to see more snow and colder weather. "This has been a colder-than-normal start to November, and the snow cover on the ground is also about two weeks ahead of normal, so it'll feel like a longer winter in general," said CBC meteorologist John Sauder. If that has you thinking about your next heating bill, Denton Vandersteen, a mechanical engineer with Manitoba Hydro's Power Smart program, says you don't have to shiver to save cash over the winter. First things first: Does it pay to turn down the temperature when you're away from home or asleep? Some people claim that turning down the temperature when you're away and then jacking it back up when you return home can actually use more electricity and cost more money. But Vandersteen says that's just not true. "I've heard that repeatedly over the years. That's an old wives' tale. I don't know where that came from. The science doesn't support that," he said. "There's no contention in my mind about whether setting the temperature back saves money — because it does." He said a furnace will run for a longer period of time when a home comes out of "setback" (when the temperature is set lower during away periods) but the amount of energy used in doing that will always be less than what you save by turning it down. As for what does help, most people are aware of the basics when it comes to things like turning off your lights when you're not home and switching from incandescent light bulbs to LED lights. But Vandersteen has a few less obvious suggestions. Vandersteen said he regularly checks on his dryer vent and clears ice that might be keeping the damper frozen open. If the lid on your dryer vent is frozen open or broken, it allows cold air to pour in through the dryer or exhaust fan, making more work for the furnace to keep the home heated. "Knock the ice off that damper so it'll operate." he said. "When it's warm, you replace those if the damper's fallen off or if it's frozen." How long are you plugging in your car? "A favourite of mine is a timer on your block heater," said Vandersteen. "A car doesn't need to be plugged in for more than four hours." Timers can be bought at hardware stores for around $20 and can be set to turn on a few hours prior to when you'll be waking up to use the car — saving a bit of extra juice and cash. Unless you're a big fan of cold showers, a low-flow shower head could help you save money on your power bill. "A lot of people heat their water with electricity or gas. Using less water requires you to heat less of it," he said, which means using less electricity. How cold is the space around your door? Weather stripping doesn't last forever. If you can feel a lot of cold air coming in around your doors, it might be time for a trip to the hardware store. About half of the heat loss in a home is due to hot air leaking out and cold air leaking in. Check on doors to see if you're paying for a constant flow of air in that area all winter long. "Another big area of leakage can be where your floor joists sit on top of your walls," said Vandersteen. For readers who are not mechanical engineers, he basically means the wood beams that sit on top of the concrete in your basement. "If you're in an older home, sometimes you look in there and you can see daylight. You want to seal those cracks," he said. "Just going crazy with a caulking gun, sealing up every crack." Again, the less hot air that's leaking out and cold air that's leaking in, the less your heating bill will be. "I repeatedly see and hear ads for space heaters, 'You'll save all this money,' but that's depending on how you use them," said Vandersteen. "If you're plugging in an electric space heater and you have a gas furnace, it may actually cost you more because the cost of electricity is roughly two and a half times the price of gas to heat your home with." He said trying to save natural gas by running an electric space heater could mean your electric bill will go up by more than your gas bill goes down. Vandersteen said there can be savings in large, electrically heated homes if the heat is turned down significantly and space heaters are only used for one or two rooms. But, he said, there's a safety risk with using the heaters, and "you can accomplish the same thing by just closing the vents in those rooms or adjusting the balancing dampers in the basement in the ducts so those rooms [you don't use] stay cooler." If you don't use a spare bedroom, shut the register and enjoy the redistributed heat in other rooms. "If you can reduce your temperature in the home by one degree Celsius, continuously … all year long, that'll save you approximately four per cent," said Vandersteen. One way to achieve that is by setting your thermostat back while you're away during the day and while you're sleeping at night. "If you do that for eight hours a day, you'd save roughly about a third of the time, you'd save a third of four per cent," he said. Smart thermostats can help with that. Newer models use "geofencing" to sync with smartphones and will automatically turn up the heat when you arrive at your door. 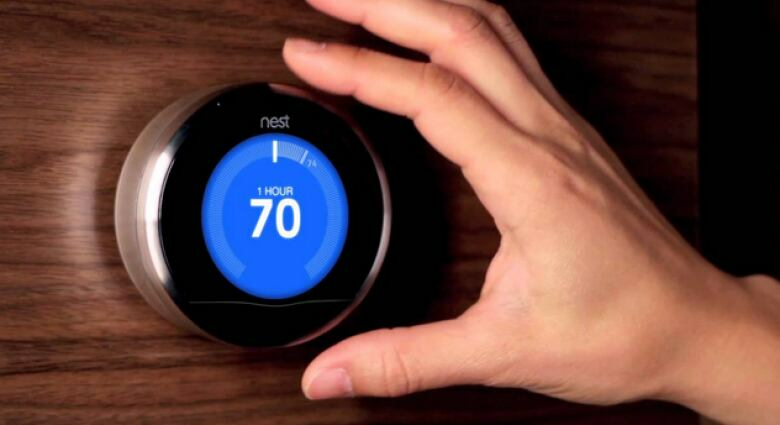 Until February 2018, Manitoba Hydro is offering a $75 rebate for a specific list of smart thermostats. But just having one isn't going to help unless you actually set back the temperature. "On the wall it's not going to save you any money. You have to use it," he said. Of course, the free option is wearing sweaters and adding layers. "Put an extra blanket on the bed, set the temperature back a couple degrees, you will save money," said Vandersteen. But that's not always doable. "Power Smart's intent has never been 'suffer in the dark, freezing to death,'" said Vandersteen. "You're supposed to maintain comfortable living conditions in your home. If you don't mind wearing a sweater and keeping it two degrees cooler, sure you'll save money, but some people just don't want to do that and that's fine." On the more expensive side, you can save on your heating bills by upgrading your home's insulation and replacing older appliances with energy-efficient models. Manitoba Hydro is offering up to $150 in bill credits on a specific list of energy-efficient washers and dryers, and up to $100 on refrigerators. They also have a home insulation program. If you qualify and the insulation meets Manitoba Hydro requirements, they'll reimburse you for the insulation (but not the labour). "It's better to hit the areas of poor insulation first," said Vandersteen. "Of all the heat loss of the home, roughly half is air leaking in and out and the other half is through conduction through insulation."